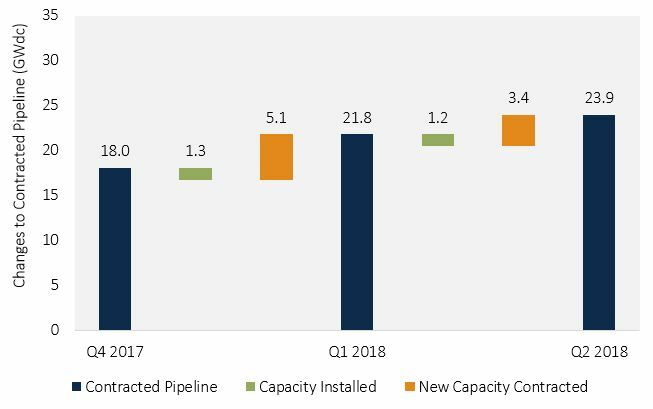 Wood Mackenzie Power & Renewables' U.S. Utility PV Quarterly Update Q2 2018 reports that 8.5 gigawatts of utility PV projects have been announced in the first half of 2018, with 5.1 gigawatts in Q1 and 3.4 gigawatts in Q2. 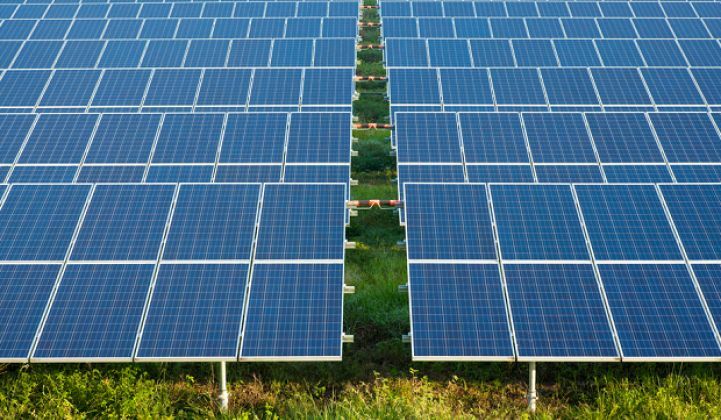 More utility PV projects have been announced this year than came online in 2014 and 2015 combined — and there are still three months left in the year. Despite the tariffs' impact to past projects, developers are looking to grow their pipelines. Utilities and corporate offtakers will continue to lock in PPAs eligible for the 30 percent ITC and will keep procurement levels high through 2019. With many projects still moving forward to meet pent-up demand, 2018 procurement will likely exceed 11.0 gigawatts by year’s end.